The type of gift you give will naturally be determined by the type of relationship you have, but in every case, it’s important to put some thought into it. Paying attention to the little things will go a long way as well. A gift that’s very personal to her will make a bigger impression than the price tag on the gift. That said, you can’t go wrong with brand-name gifts that will make her friends jealous. Here are some ideas to get you started. Buying flowers can be a horrible experience, which is probably why a lot of guys don’t even bother. But what if there was a company that not only guaranteed fresher flowers at a reasonable price, but did so in style? That’s the basic concept behind The Bouqs Co., which cuts its flowers (from the side of an Ecuadorian volcano, naturally) on the day you order and delivers them within two to four days. Fed by pure volcanic snow melt and mineral-rich, pH-balanced soil, the flowers are brighter and can be enjoyed longer compared to other online floral companies. Better yet, it costs a flat $40 for a bouquet with shipping, and there are no annoying up-sells like cheap candy and stuffed teddy bears. Additionally, The Bouqs Co. farms practice sustainable, eco-friendly farming, only cutting what they sell, and offer its workers competitive living wages and services like on-site childcare and healthcare, and adult education. 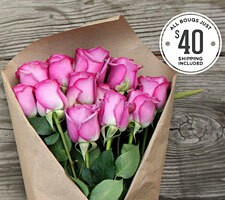 It’s win-win, so you no longer have a reason not to get your special lady the flowers she desperately wants. A kitchen appliance may not be the most romantic gift on Valentine’s Day, but trust us when we say that your wife or girlfriend will absolutely love the Blendtec Designer Series Blender, especially because it means you can focus more on each other instead of food prep. 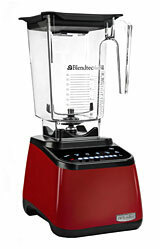 While many people are content with filling up their kitchen cabinets with gadgets that only serve a specific purpose, the Blendtec Blender is effectively 12 appliances in one, including a coffee grinder, food processor, hand mixer, ice crusher, ice cream maker, whole juicer, meat grinder and immersion blender. Featuring a powerful 1560-watt, 3-peak horsepower motor, this thing is an absolute beast, blending just about anything you throw at it… and up to five times faster than its competitors. (Don’t believe us? Check out the company’s series of Will It Blend? videos on YouTube.) It’s also incredibly easy to operate, with six preprogrammed blending cycles and a touch control manual-speed slider. Though the Blendtec is a little bit on the pricey side, when you consider how many different machines you’d have to buy to replicate its various uses, it more than pays for itself. We review a lot of headphones, but the latest model from Urbanears stands out as one of the coolest we’ve sampled in a while. The Zinken was developed with the professional DJ in mind but with an affordable price. The most unique feature involves the double-duty TurnCable that has a 3.5mm stereo plug on one end and a 6.3mm plug on the other. Basically you can easily plug into your phone and other devices but then flip the cable around and plug it into an amp. The ZoundPlug is another great feature as it allows you to share music with a friend using a headphone jack in the right ear cup. So if you buy a set for your girlfriend and one for yourself you can easily listen to music together! Like other Urbanears headphones we tested, the Zinken model produces excellent sound with superior comfort. The headphones fit snugly around your ears with just the right amount of padding. The Zinken features swivel ear caps and an adjustable headband so you can adjust them for maximum comfort. The collapse design also makes them easy to pack and store. The Zinken also comes in a wide variety of cool colors as you can see in the promotional video below. With the holiday season upon, the Zinken headphones make for an excellent gift and you can choose a color that fits the person you’re buying for. Urbanears has a new collection of stylish headphones, and I was able to test out the Plattan model. 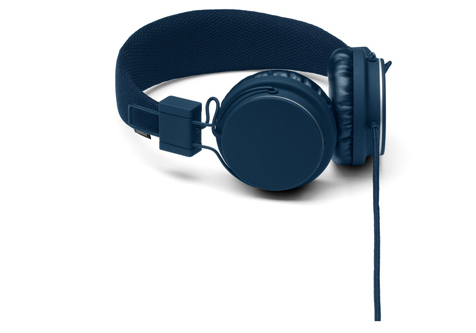 I chose Indigo as the color and as you can see above and on their site the headphones look great. The design is truly unique and the eclectic color choices offer something for everyone. They were also very comfortable. The padding is soft and fits nicely over the ear, and the sound quality was excellent as well. In today’s world of mobile music, you can’t have too many sets of headphones. This new line from Urbanears should be a great gift for anyone who appreciates some style with their electronics.